a networking tool destined for these different actors, enabling them to get to know one another, exchange practices and work together. a quadrilingual French-English-Portuguese-Spanish interface to facilitate exchanges between the different geographic zones. The task would be impossible if it weren't for the opportunities opened up by the web 2.0, which allows anyone to become master of his/her own PR. 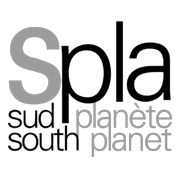 By clicking on the "Espace pro/Pro Page" tab on the Southplanet site, anyone can create their own file and administer it as they wish, posting the information concerning them daily (recordings, shoots, writings, rehearsals, tours, album or book launches, conferences, event organization...). That guarantees that information is as complete and uptodate as possible. Africultures validates the new data to guarantee the seriousness of the information online and to avoid any abuses. Southplanet registers dozens of new entries every day. The portal can only improve: more and more data and users and more and more tools at their disposal. It's a virtuous circle which, once in motion, has no reason to end. Southplanet is thus a longterm tool, selfmanaged by its own users. tools destined for institutions, policymakers, funders to identify trends and compile statistics from the database. A lack of international visibility limits the promotion of artists and cultural operators of the ACP (Africa – the Caribbean – the Pacific) countries and thus the circulation and distribution of their works. Information is not well coordinated. Some artists already use Internet selfpromotion tools, such as Facebook, but these sites aren't really adapted to artists and do not compile data. Moreover, the volume of information is such that only web 2.0 type websites, into which people can enter their own information, are capable of regrouping it all. Artists and technicians (lighting technicians, sound engineers…) complain how hard it is to find work, while art and exhibition venues and festivals complain that they cannot find artists to show, or film directors that they cannot find actors... A complete paradox that a tool connecting different cultural actors could help to overcome. The countries of the ACP countries by and large suffer from their cultural sectors' lack of structuring. As they lack contacts, people are forced to take on roles they wouldn't normally play: artists end up doing their own promotions, production, and sometimes even their own reviews! People are forced to focus on too many things at once, instead of concentrating on single skills, which often ends up deprofessionalizing the milieu. Even in countries where cultural activity is vibrant, one can rarely talk about a real "cultural industry". Today no tool exists making it possible to evaluate the dynamism or weakness of a country's cultural sector. In recent international seminars, both cultural operators and policymakers have unanimously called for a tool providing information, visibility, publicity, exchanges and networking opportunities. A tool which can notably help alleviate the lack of statistical information available to cultural observatories and decisionmakers and thereby contribute to the elaboration of cultural and cooperation policies. Various, essentially local, initiatives have indeed sprung up to palliate the lack of cultural information. But many unnecessarily duplicate each other's efforts and remain unknown. Furthermore, cultural actors cannot keep up with so many undertakings. A unique reference point is needed. Only one is an international portal that makes it easy to find the information soughtafter and aims to be exhaustive: the Southplanet web portal (www.spla.pro). As Southplanet benefits from the reputation and networks that Africultures has worked to establish over the past fifteen years, the portal offers artists a platform to break out of their isolation and to give their work visibility and recognition. The aim is both to realize economies of scale (to share organizing a band's tour with several places instead of just one, for example, disposing of free promotions spaces on the Internet), to encourage the flow of information (so that artists know a competition or training course is coming up...), to support a country's cultural industry (by providing contacts for organizations, technicians and artists) and to help new talents emerge (so emerging artists can apply to venues and events). It advocates pooling not only information, but also connecting people. If they are to transform isolated private initiatives into a veritable cultural industry, operators need to work together: the less experienced become more professional thanks to those with more experience, organizations organize the circulation of works and shows together (economies of scale)... Pooling resources needs to help everyone find their rightful place, connect with the right people whose various skills are complementary, in the most professional way possible. Good practices exchange forums and contact directories are among the tools that are needed to connect actors, a key factor in reinforcing their capacities and the emergence of new cultural industries. Decisionmakers and institutions will only be able to support the structuring of the sector if they dispose of the right information. With Southplanet, they will have precise, exhaustive information in real time, provided directly by cultural actors themselves. It will be possible to quantify, sort and analyze this data, which will facilitate decisionmaking and political backing. Serving as a directory, the database will enable decisionmakers to send emailsurveys to consult the cultural sector. Southplanet favours a better circulation, distribution and sale of works (thanks to their increased visibility before cultural operators, producers and buyers), a more attractive work market (if local technicians, actors, graphic designers are known to exist, they can be recruited rather than bringing in others from abroad), the attraction of new funds and producers, building confidence via the "showcase" of the sector's vivacity that the site offers... so that the cultural sector, which employs considerable numbers of people, is a dynamic economic sector that helps to reduce countries' poverty. The different ACP countries' needs are not always identical, their languages and realities different. Cultural actors sometimes lose themselves in the avalanche of data at an international level, and need to be able to communicate and organize on a smaller scale. The Southplanet site is thus subdividing into national portals, with a graphic design, information and forums that are specific to each country. This remains compatible with international visibility, as the Southplanet/national portal databases are linked: all information entered onto one of the sites automatically appears on the other. Modalities : A piece of fieldwork to be conducted incountry by one or several cultural partners. Their role is to cover national artistic events through a weekly newsletter, created automatically from events and contacts entered into the website; to lead a study in all artistic disciplines and geographical areas to present the leading actors and organisations on the website; and to mobilize and develop the cultural sector by encouraging artists to communicate on the website, training them in their area of expertise and inviting them to register on the site.